A personalized education with instructors who truly care. Bridges Career Academy completers earn a green cord to wear at graduation. Annual event showcasing hundreds of careers and educational programs to high school students. Career pathways at the high school focusing on knowledge and skills within a specific career field. ProStart focuses on practical curriculum, hospitality industry connections and hands-on work experience. Bridges supports transporting students to career experiences to strengthen what is learned in the classroom. Take a behind-the-scene look at a variety of area businesses. Area business professionals are available to speak on a variety of topics. 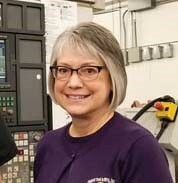 Welcome to the Bridges Career Academies & Workplace Connection! Bridges Career Academies & Workplace Connection is a workforce development initiative that connects the Central Minnesota business community and educational partners with the common goal of optimizing the high school students’ career or college readiness. Bridges provides leadership that engages and empowers students and educational professionals to: explore career pathways, enhance partnerships between education and the business community, inspire innovative ideas, and promote regional career opportunities. These programs offer a “snapshot” look at a variety of careers and industries. The annual Career Exploration Day is offered in early March at CLC’s Brainerd campus, and Career Videos are available 24/7 online. The Bridges Career Academies are career pathways that focus on the knowledge and skills needed within a specific career field. All Academies include academic and technical skills, paired with employability skill instruction and career experiences. 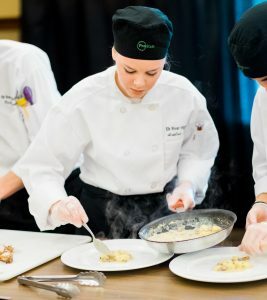 Several school's hospitality and culinary-focused Career Academies use the ProStart curriculum with strong relationship with an area resort or restaurant. These Bridges programs offer a non-classroom setting to understand what different careers are like. They include: Business Tours, a Speakers Bureau, and the Career Depot — a high school jobs database and hiring tools. We are thrilled to be aligned with Bridges. It offers real-world experiences to high schoolers. THANK YOU for allowing Staples Motley to be part of the ProStart program. I know the students are learning important facts about the culinary world that they will keep for the rest of their lives!